Get ready for Black Friday Specials!!! See your doctor...see the world!!! Visit www.eyerecommend.ca/see-the-world-contest for more details! Come on in to our office on Wednesday, June 24th and your child ages 0-5 will receive a free pair of sunglasses and a surprise bag. 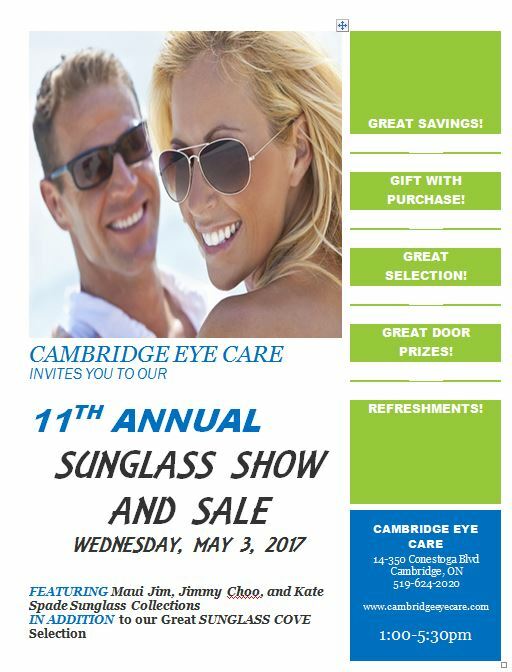 Please visit us on April 15th for our 9th Annual Sunglasses Show & Sale. Come join us for Ladies Night on February 20! 6:30 - 9PM! 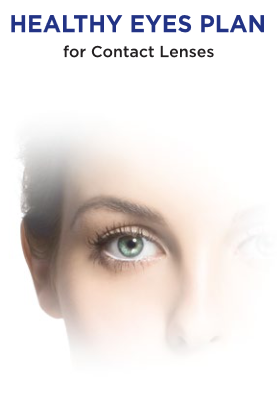 November 1- December 31, 2014 Special Promotion Offering $50 off any 6 or 12 month supply of Accuvue Define enhancing contact lenses. Trial pairs are free! World Sight Day is on Thursday, October 9th. We will be raising funds to help support world wide vision. We've been nominated for the Readers Choice award this year. Please Vote for us now! News Flash!!! We are hosting our UV groovy week from June 16-20th. Our Summer Scratch n’ Save Sale! You can save up to 25% on our Scratch n' Save Eyeglass sale! Effective April 1st, 2014, we are now able to bill directly through numerous insurance carriers. UV Groovy Day is coming up on June 21st! Bring your kids 5 years and younger into our office to receive their FREE pair of sunglasses! 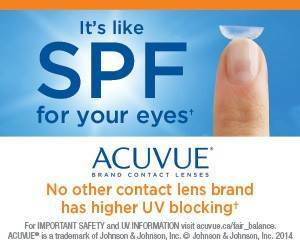 Keep your family's eyes protected from harmful UV exposure. Live Music, Hot Beverages, Tasty Desserts, Eyewear and Jewelry! All to benefit Haven House!! Sponsor our team and help give the gift of sight. 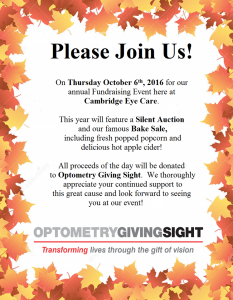 Special savings on sunglasses, refreshments & door prizes! Are there times when you wish you weren’t wearing glasses? Music, wine, eyewear, and jewelry. We have recently launched the "aeroplan loyalty program" at our office. 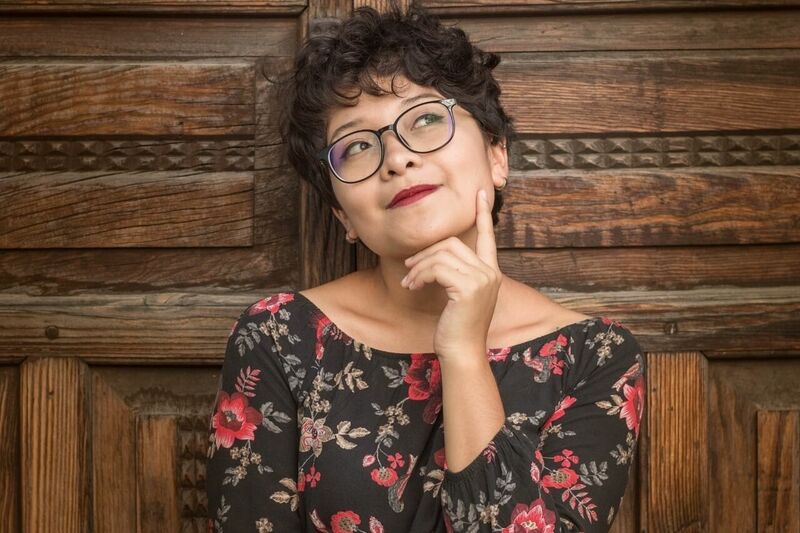 This month only, enter to win $600.00 towards a new pair of glasses. Fundraising continues through the remainder of October! Friday April 15th from 1:00-5:30 pm. 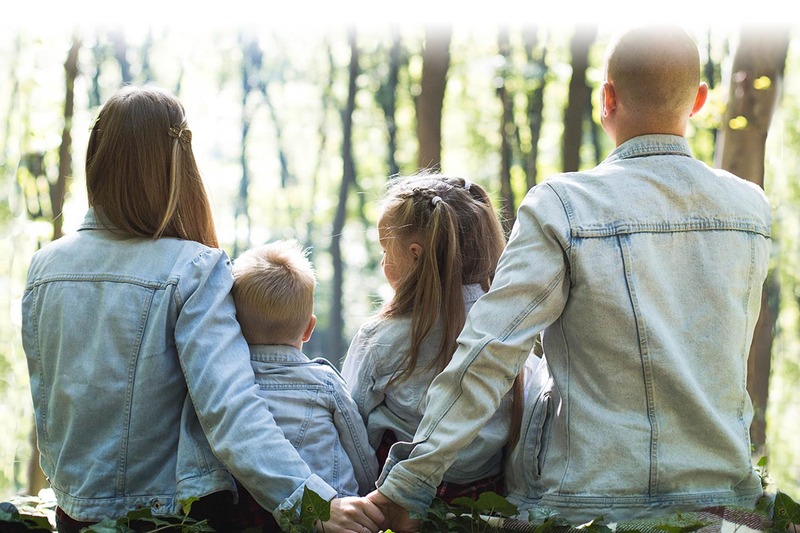 Check out the latest news from Dr. Beth Lennox and Associates. Read the latest news from Dr. Beth Lennox and Associates.